Should be required reading/listening for anyone thinking Mr. Trump is on track for making America great. 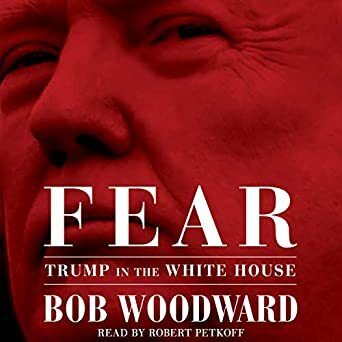 We pre-ordered the Audible version which downloaded to our Audible library when it became available. We are already up to chapter 27. Should be required reading/listening for anyone thinking Mr. Trump is on track for making America great. “CNN invited Time magazine contributor Jay Newtown-Small on to discuss that. This entry was posted in books, Trump, What's Up With Me Today by Arthur Ruger. Bookmark the permalink.